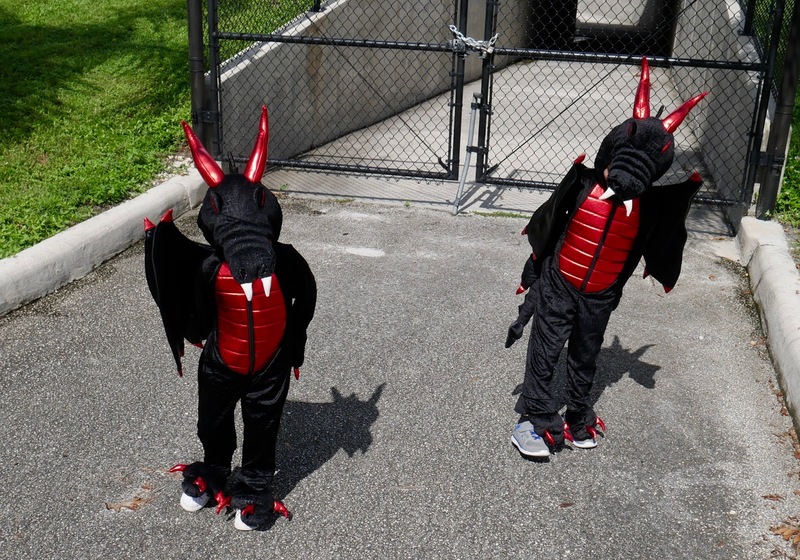 Lets start with the kids dragon costumes. 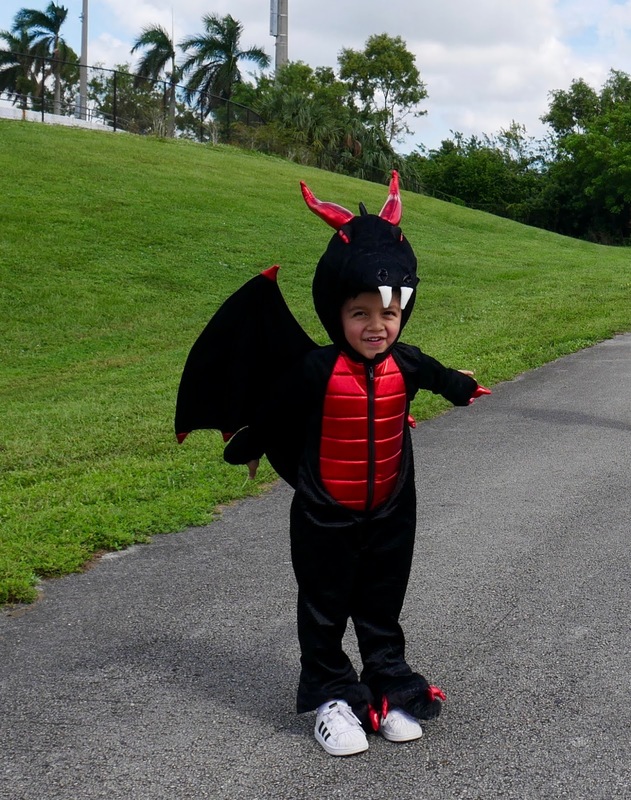 I thought about doing a diy project on the dragon wings and face but then I came across these amazing dragon costumes at Marshall's for only $25. Even though its a bit pricey it's not as much as you would pay at a halloween store and to be honest these look way better! You might still be able to find them in stores if you're interested. So of course anyone that is a fan of the show knows the kind of outfits that Daenery's wears but I wanted a more modern twist to it. Not to mention actually finding a dress like the ones she wears would be extremely pricey. I had the idea to ask my cousin Michelle to please make me a shirt with the saying "Mother of Dragons" on it and she made it happen. I paired it with some black ripped jeans (fashion nova) and some boots to give it an edgy vibe and just like that you have a fun costume. If any one you are interested in buying a shirt you can always message me on Instagram and we can go from there. Halloween is one week away do you have your costumes ready? What are you all dressing up as?